Our last port-of-call was Jamestown on Conanicut Island sandwiched between Newport and Providence, Rhode Island in the middle of Narragansett Bay. It’s low-key, half rural, half suburban, a small-town, civic-minded community of playgrounds and health food stores, an arts center in an old boat shed with a pottery and exhibition of art based on paper. 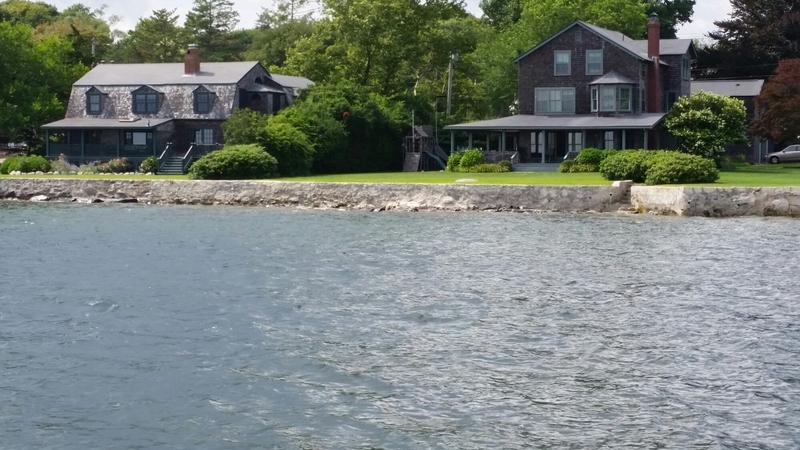 Retired bankers and investment analysts live where they used to have their summer homes and where they can get their daily skinny latte and focaccia.